Smithsburg EMS is dedicated to providing the citizens of Smithsburg and surrounding communities the highest level of emergency medical services. 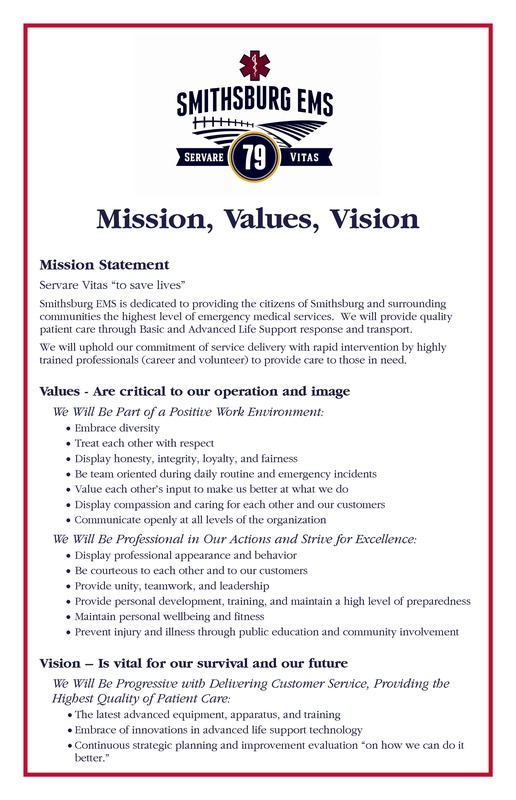 We will provide quality patient care through Basic and Advanced Life Support response and transport. We will uphold our commitment of service delivery with rapid intervention by highly trained professionals (career and volunteer) to provide care to those in need.